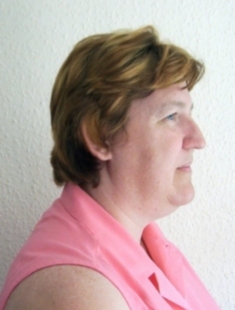 Tutor, Carole Peachey BSYA (H Med) & (Med Teacher) is a medium, tarot reader and encaustic artist, who has many years’ experience of psychic development within the JCPF. This is a 6 week development course which by using a combination of meditation techniques, such as breathing, journeying and visualisation, will enable students to harmonise both body and mind. By focusing on those areas needing harmonisation, students will gain the power of self-healing, with stresses and tensions generally being released. Students will also learn the techniques of sending remote (distant) healing, with the same power being focused towards people, animals and pets in need of healing. No previous psychic or healing experience is required for the student to benefit from this course, as interest alone is sufficient. Carole has found that a number of her students have continued their development by enrolling on one of the two JCPF Foundation Courses, the Chakra Meditation Course and Discover Your Psychic Self Course and/or by attending the Healer Training Clinic. However, if the student wishes to continue with Carole, she also offers one-day workshops in Power Meditation, as well as Encaustic Art Workshops. Healing Power Meditation Courses start on either Tuesday or Friday. For more information or to book, please contact Carole on 07593 405260, or via E Mail.